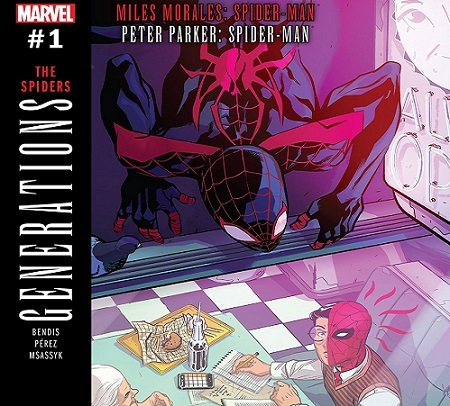 Generations Morales & Parker Spider-Man #1 is a Marvel one-shot straight from comics legend Brian Michael Bendis and Ramon K. Perez. At last Peter Parker is reunited once again with Miles Morales. When it comes to problems, Peter Parker’s got it all! Bullies at school, ailing aunt, a doppelganger, crushing responsibility, and – wait, a doppelganger?! Can’t Peter ever catch a break? And what does all this craziness have to do with Miles Morales? Generations Morales & Parker Spider-Man #1 will be available in comic book stores from September 27th.